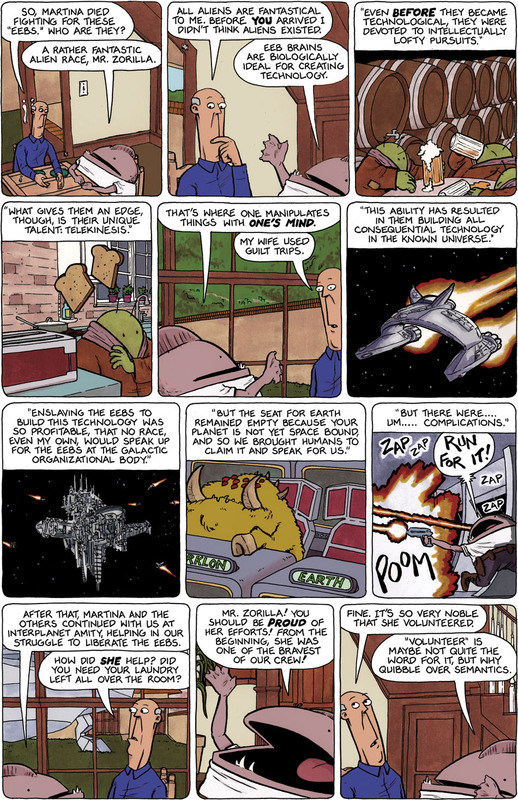 This strip’s dialogue must feel like a lot of information to retain, and although it is true that it is somewhat the basis of the story, maybe even a synopsis, be rest assured that not only will this info be reinforced, but there will almost never be strips that don’t stand on their own and are simply funny within their own context. I thought only MY mom had that power! Oh lord love the guilt trip, my mother has another sister in the universe. Oh please don’t apologize.for all the info. There are so many jokes in there, textual and visual, so many levels of comedy that this page cannot possibly be taken for an infodump or anything remotely looking like an infodump.